Few days back, Facebook rolled out its Messenger for the web. So, you can now start conversation and talk with friends on chat without any distraction. So, you do not need to open Facebook just to talk with friends. To make it even better, developer Alexandru Rosianu has ported this web based messenger into the desktop app. So, you can use this web-based messenger without the opening browser. 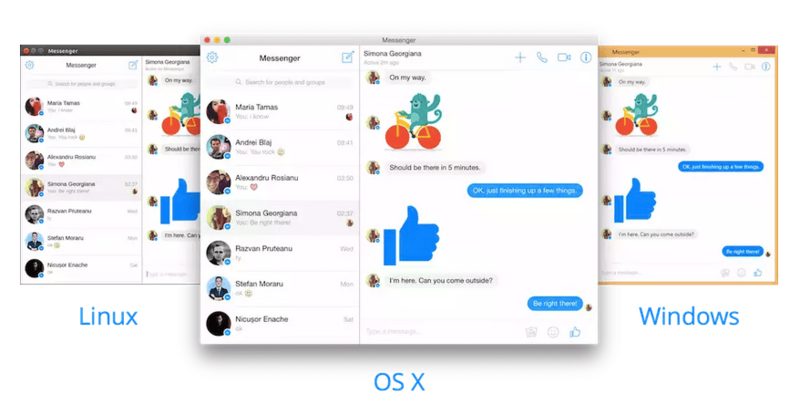 This desktop messenger app works fine on OS X, Windows, and Linux platforms. Install this app in your system and then login with your Facebook credentials. Your existing conversations will already be there. You can start new conversations with your friends. Everything which you can do with web messenger will also be there in this desktop app. This messenger app is portable. So, you can also carry it with you.